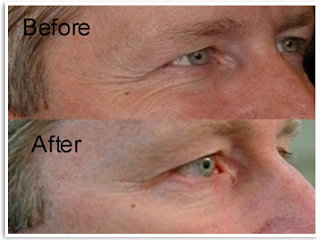 Look years younger without RISKY or EXPENSIVE surgery! Southeast corner of Webber and Beneva in Forest Lakes (behind Dominos). 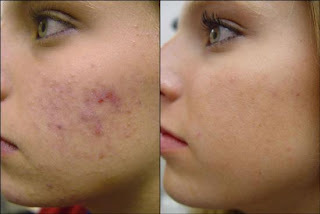 Red Light therapy anti-aging skincare with UV-free collagen fluorescent lamps is the new affordable and rejuvenating alternative to invasive techniques, such as plastic surgery or laser treatments. 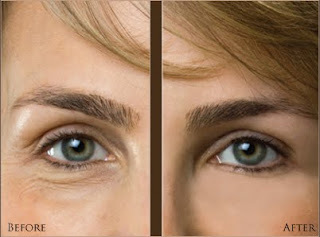 And while skin firming products, lasers, and surgery enhance mostly facial skin or other targeted areas, collagen lamps make it easy to give your entire body's ageing skin a youthful look. Red Light Therapy uses visible infrared rays to stimulate the fibroblast cells which causes your skin to increase production of collagen and elastin - the proteins responsible for smooth, supple skin. Your skin layers have a high content of blood and water which easily absorb red light. Initially you will notice fine lines and blemishes start to diminish, your skin will have a much smoother feel and pigmentation of the skin will start to even out. Over time improved oxygenation and detoxification of the skin is achieved as the vascular walls of the skin's small blood vessels are strengthened, followed by improved natural repair and creation of healthy skin. This will help restore and firm up tired looking skin, decrease fine lines, wrinkles, stretch marks, age spots, minimize the size of facial pores, and all over improvement of the skin's underlying supportive structure - making you look and feel years younger. Today, people seek to age, and fight aging, naturally. In the pursuit of youthful skin and attractive appearance, they move away from invasive or painful treatments such as ablative lasers, dermal fillers, chemical peels or face lifts. Not only the costs, but also the risks of these methods are high: lengthy downtimes, pain or other side effects such as erythema, bruising, swelling or transient headaches. The fact that collagen light therapies have no downtime, are safe and effective with consistent results is significant for users. 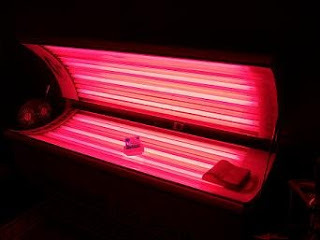 Since Red Light Therapy does not contain any UV rays, you can tan and do Red Light Therapy on the same day. Red Light Therapy is not a quick fix. It will take 4 to 6 weeks before you will see noticeable change. For maximum results, follow the recommended schedule as close as possible. Ideally, it is best to get the 3 month package and then a session package for maintenance after that. Works for Men as well. Whole Body Treatment...not just the face.